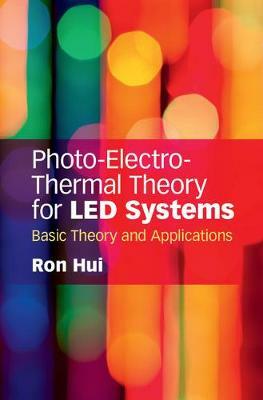 Gain a solid understanding of Light-Emitting Diode (LED) Systems Theory with this unique book. Written by a leading expert in LED lighting, it links together the photometric, electrical, thermal and chromatic elements of LED systems into a single, unified framework, and explores their complex interactions with one another. • Get to grips with chromatic, photometric and thermal modelling of LED systems • Discover new techniques for precise dimming and colour control • Learn methods for determining system parameters and internal variables • Gain insight into advanced applications for LED system design and optimization Providing straightforward and intuitive explanations, this is an ideal guide for professional engineers, graduate students and researchers working on solid-state lighting systems and smart lighting, and those taking advanced courses on LED devices and systems.